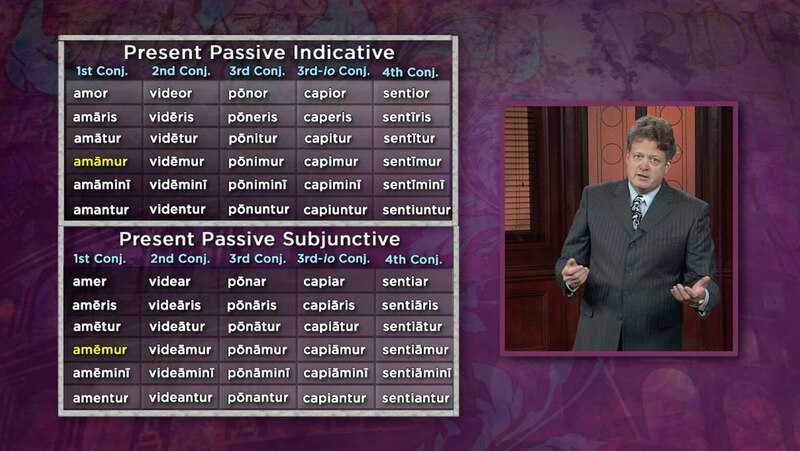 You have learned present passive forms in the third conjugation. Now cover the present passive endings in the first, second, third-io, and fourth conjugations. Close by deciphering a passage from the book of Genesis in St. Jerome’s Latin translation, and analyze a pagan prayer to the emperor Tiberius.